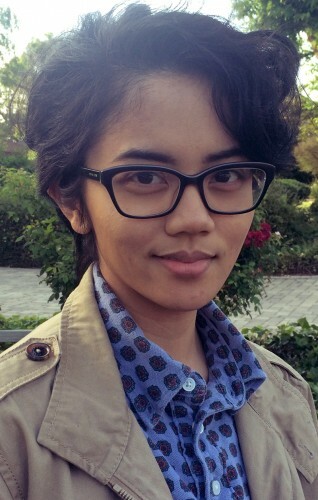 The Prism Spotlights continue with Catherine Esguerra — Prism Comics’ 2016 Queer Press Grant co-recipient (along with Elizabeth Beier)! Mini interview by Prism Grant Chair Jon Macy. JON MACY: Congratulations on receiving the Queer Press Grant. 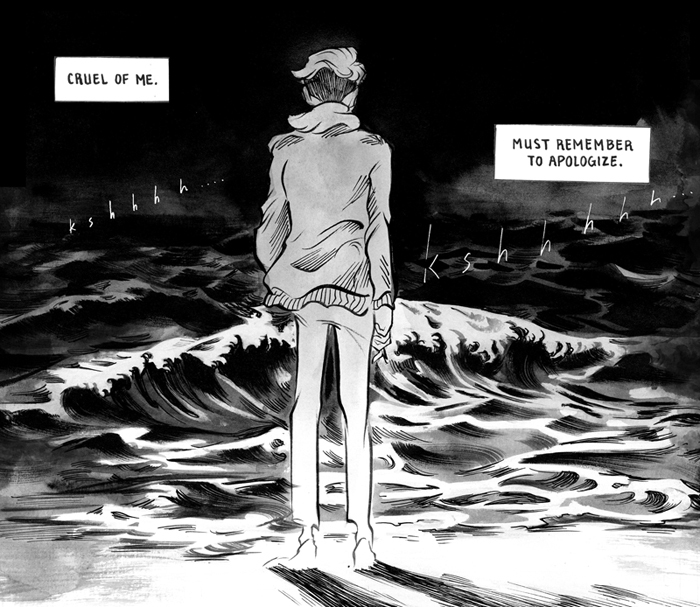 I want to know more about you and your winning graphic novel Eighty Days. Can you start by telling us a bit about your book, how it came about, and was there anything from your life that sparked the story? CATHERINE ESGUERRA: Thank you so much, Jon! I’m so terribly honored and happy to find support for my story. 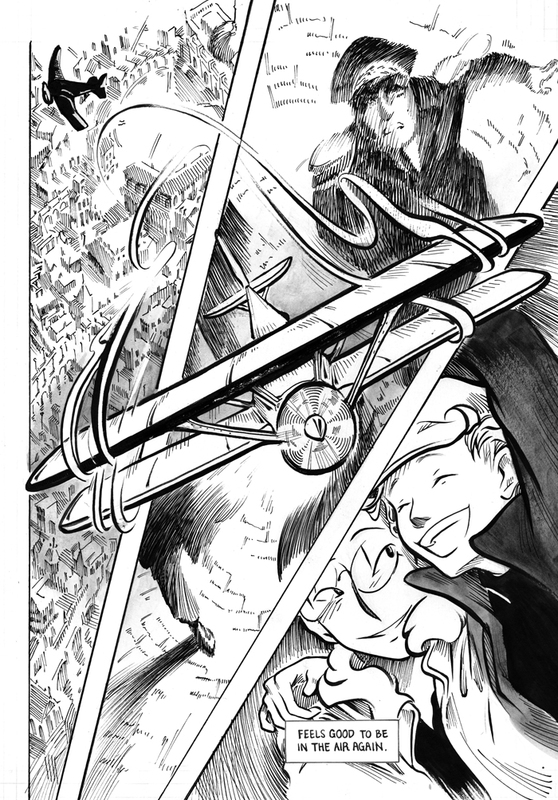 Eighty Days is a manga series about flight and freedom set in an alternate-1930s world. It begins with Jay Corvidae, an aloof and levelheaded delivery pilot working out of a remote outpost in Central Asia. It’s peaceful work until he takes on a fateful job for one Fix Vulpes, a beguiling thief and radio operator who is more than he seems…and who soon runs into trouble with AVO, the ruling class of pilots. The deeper Jay gets into Fix’s business and romantic affairs, the more he must question what he truly flies for. Meanwhile, an old friend of Jay’s, Sable Auliya, tries to protect him from AVO even as she rises to power within it. 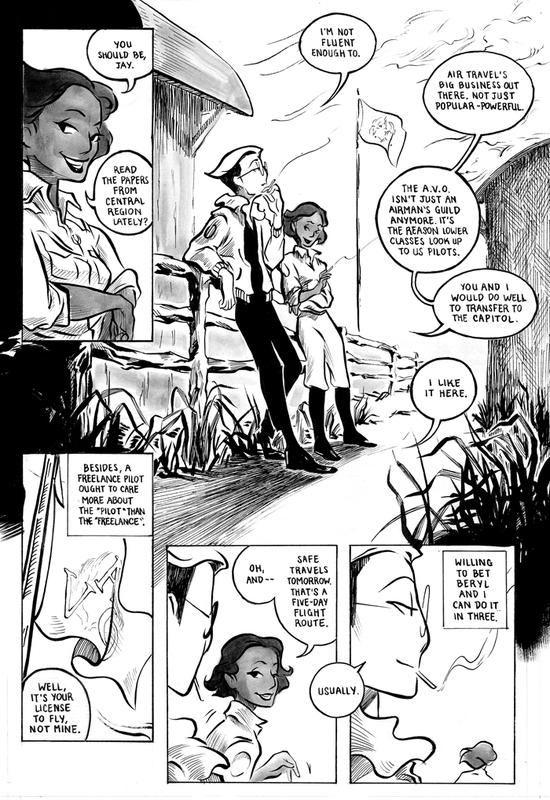 The story unfolds in letters and telegrams between Jay, Fix and Sable as each navigates the rapidly changing world around them. 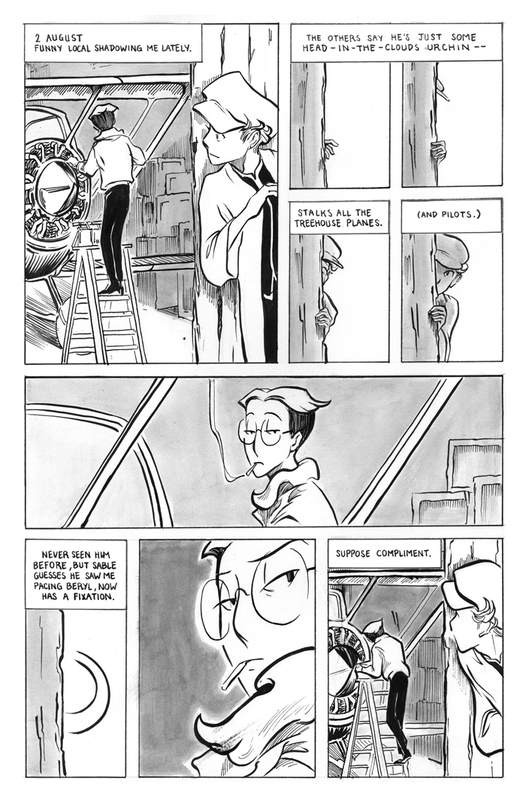 Eighty Days was inspired by stories from aviation’s Golden Age in the 1930s: Hayao Miyazaki’s Porco Rosso and the autobiographies of Antoine de-Saint Exupery and Beryl Markham. The poetic, moralist qualities of these stories left a deep impression on me. It seems to me that in aviation there’s a fascinating tension between technical and intuitive, an intertwining of the mechanical and the very human. 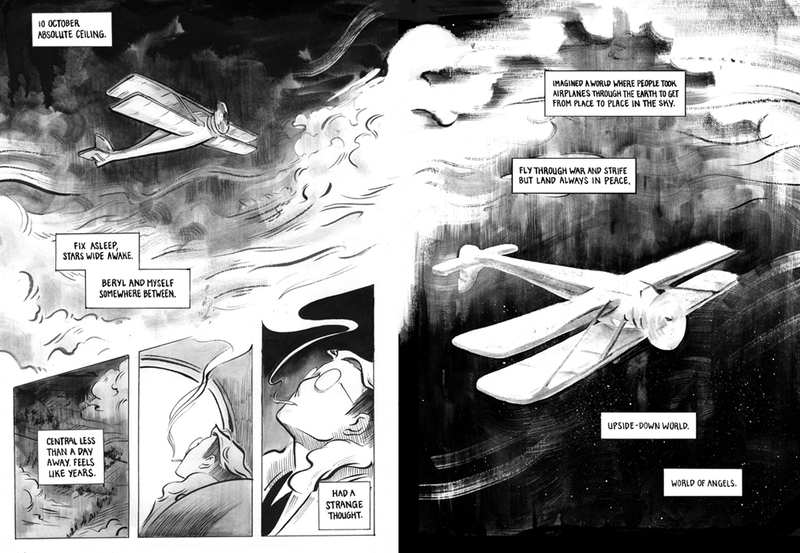 I wanted to explore that in comics, to express something nuanced and beautiful about the pilots’ craft and passion through the practice of my own. If something in my life directly started this comic, it must’ve been small. Hearing “These Days” (as sung by Nico) for the first time. The feeling of looking at the ocean while stressed perhaps, haha. I think the main impetus came from outside myself. But like Jay, I couldn’t stay entirely detached, and all kinds of personal thoughts came into the mix as I wrote: on immigration and assimilation as faced by my friends and family, on the abuse of power and privilege on a broad scale, on the need to rely on and love others in spite of all this. JON: Western Manga has grown in the United States. What are the differences between the two and Is there anything done with Manga that can’t be done in Western comics? CATHERINE: People tend to think of Western comics as action-packed and in-your-face with a more realistic look to the art whereas manga is black and white, has an expressive, symbolic style of drawing and a more introspective tone. This is being painfully general, though. In reality there’s exceptions to all of the above. There’s so much variety of stories and art style within both manga and Western comics that the differences between them are superficial: they have more to do with visual and marketing stereotypes than content. Just because you find a book in the “manga” section of a typical bookstore doesn’t necessarily mean it has more in common with a neighboring book than with one in the “graphic novel” section. This isn’t even taking into account “Western manga,” which I take to mean Western-based creators mixing manga influences into their work. If anything, perhaps dividing up storytelling qualities to label some books as “comics” and others as “manga” limits both from reaching a wider audience. 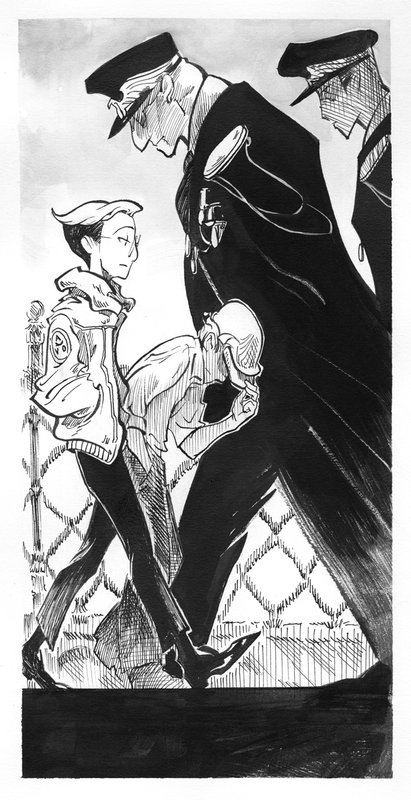 But creatively, I think anything’s possible whether you’re making comics or manga or something in-between. Borders aren’t drawn around how you tell your story, or what you choose to tell it about. JON: There are many female writers and cartoonists that depict all male romance or M/M — can you tell us more about the attraction to the subject matter and why it’s a phenomenon? CATHERINE: I can’t speak for all the artists standing under this umbrella with me here, haha. Some are using art to subvert expectations about masculine and feminine, what it means to fall for someone, to be vulnerable, etc. But I also know people who just kinda find M/M fun and hot, and that’s cool too. For me the appeal lies in exploring a side of yourself that you don’t already find elsewhere. As part of a female audience I’m supposed to see myself in, say, shoujo and romcoms. And I do, sometimes! But getting only the same old “what a girl wants” stereotypes to relate to becomes rather boring. At their most formulaic, stories that claim to be “for you, a woman!” make a lot of assumptions about my self-image and desires that I don’t buy into. If I can find myself in other experiences of love and being loved, I’ll seek those out instead. 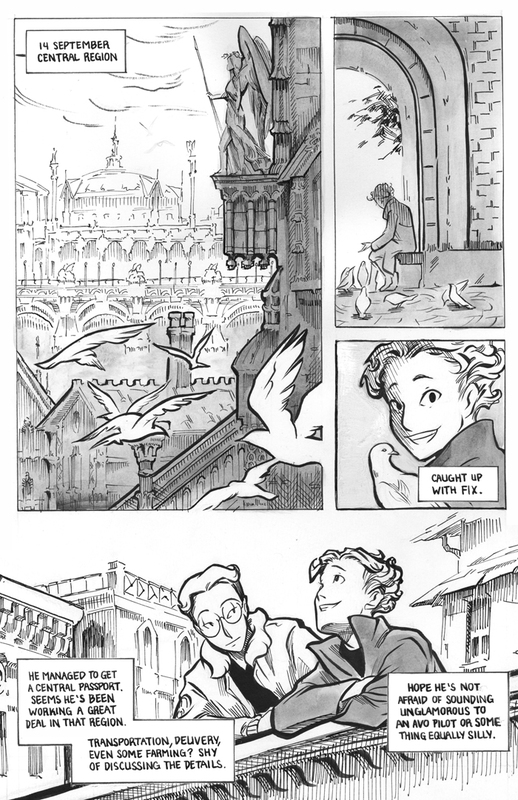 And if I can’t find it, being a creator empowers me to make that space for myself and readers to live in and enjoy. 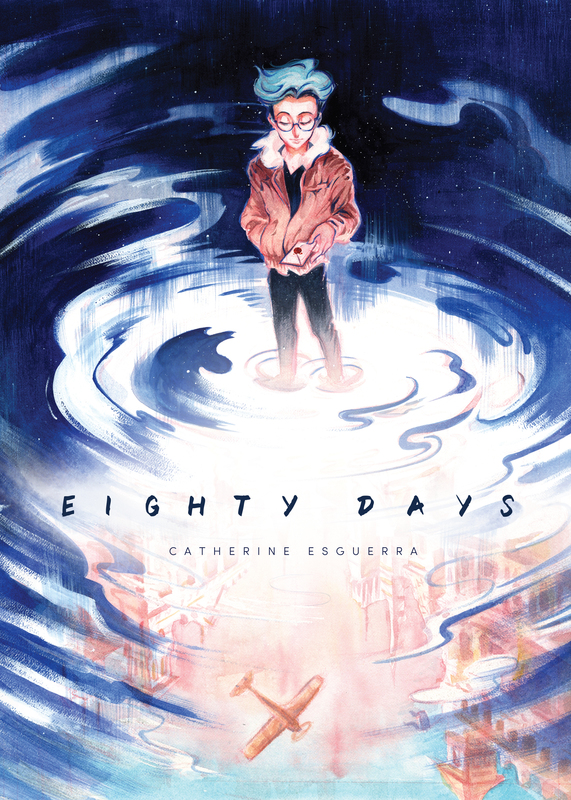 Catherine Esguerra is a comics author/artist and illustrator. She lives with her partner and their dog in Los Angeles, CA.